Published in: Setchell, W.A. (1943). 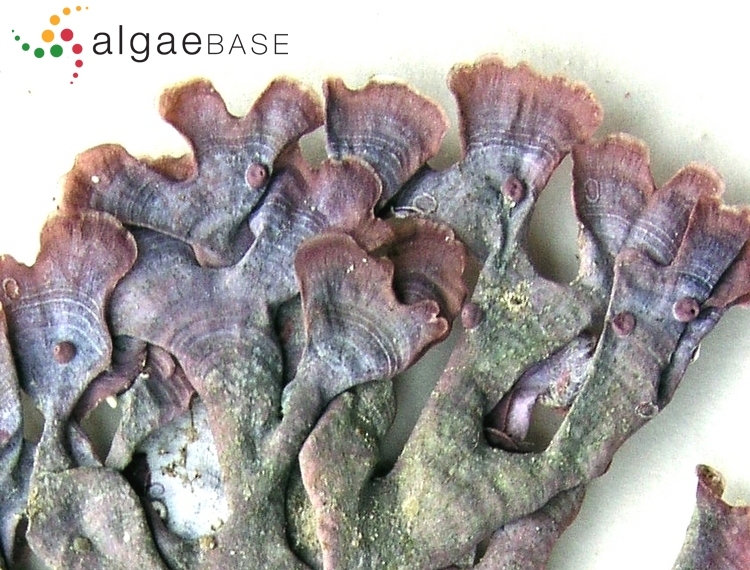 Mastophora and the Mastophoreae: genus and subfamily of Corallinaceae. Proceedings of the National Academy of Science of the United States of America 29: 127-135. The type species (holotype) of the genus Mastophora is Mastophora licheniformis Decaisne. 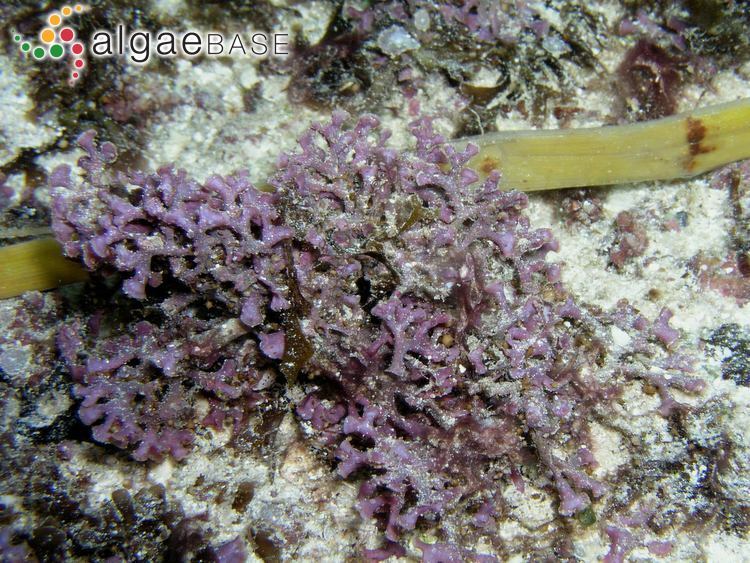 Type locality: Guam, Mariana Islands (Silva, Basson & Moe 1996: 254). Lectotype: Gaudichaud; 1819; LD 50714 (Woelkerling 1998: 392). Notes: Isotype: PC, no. 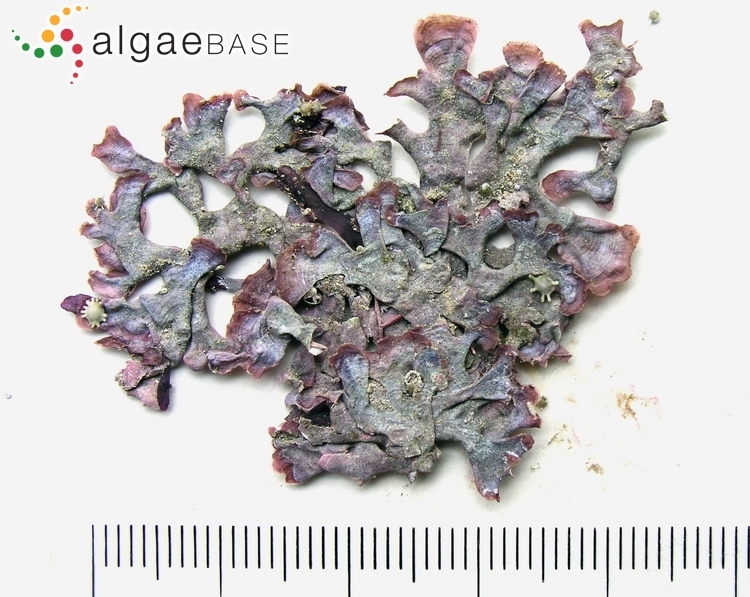 56, General Herbarium box collection (non-fossil; filed in non-geniculate coralline type collections cabinet under basionym). 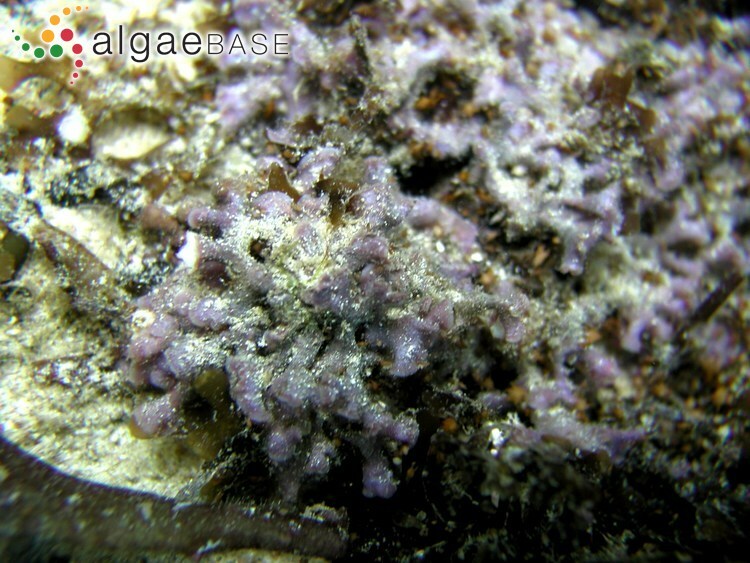 In the Ryukyu Islands, grows on rocks and epiphytically on other algae in tide pools on the reef flat as well as on the outer edge of the reef in the upper subtidal zone; in Taiwan, occurs in both northern and southern areas, where it often forms a distinct band in the subtidal fringe (Keats et al. 2009). Accesses: This record has been accessed by users 2574 times since it was created.